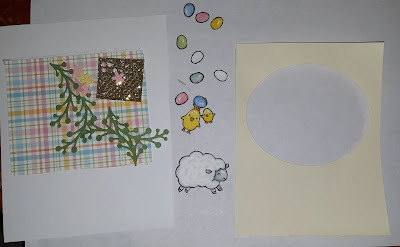 Hello Crafty Friends - Annie here with a quick and easy Easter card. 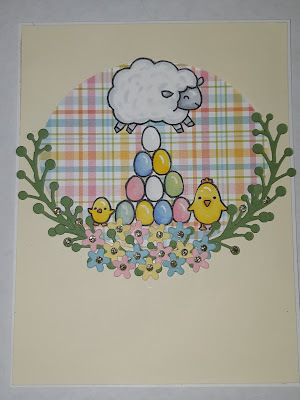 For this card, I used the sheep, the chicken, the chick and egg from Lawn Fawn - Hay There stamp set. I know this isn't an Easter set - but I wanted to use a set that wasn't meant for the holiday. A stretch you set kind of challenge to myself. 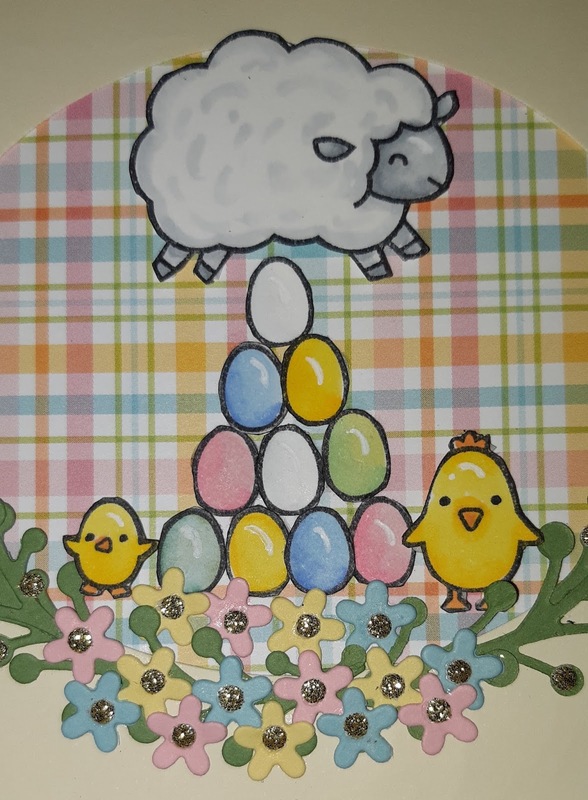 I one of each of the animals and 10 eggs. I colored them with Copic markers. 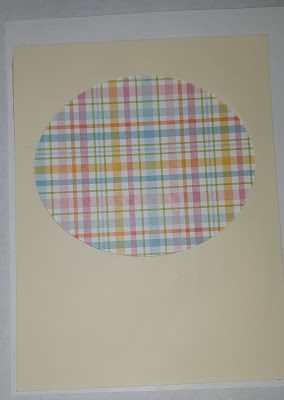 I then used an oval die to cut a window into my cream cardstock - which is my card front panel. I then adhered the pattern paper to the white cardstock. 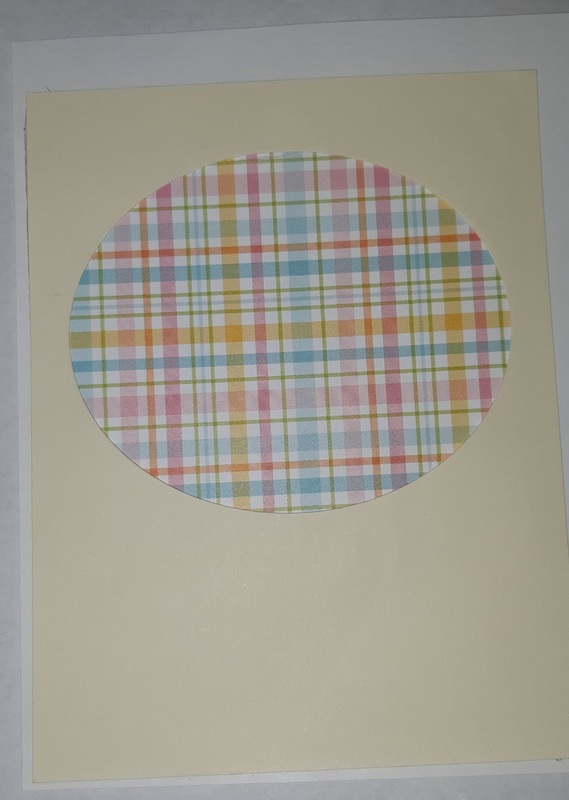 Next, I centered the cream cardstock onto the white cardstock so that the pattern paper shows through the die cut window. Then, I adhered the leaf sprigs and flowers to the bottom of the oval window. Next, I arranged and adhered the images onto the pattern paper. 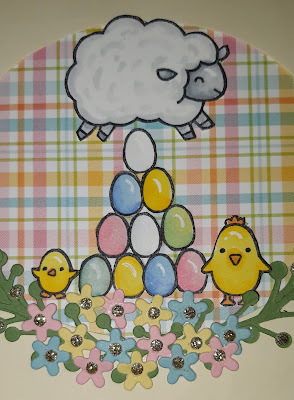 I wanted the little chick and chicken to be building an egg tower/pyramid that the little sheep would be jumping over. I thought it looked cute. I added the little centers to the flowers and a few of the centers onto the sprigs. Then, I adhered the card front panel onto my card base and the card is complete. 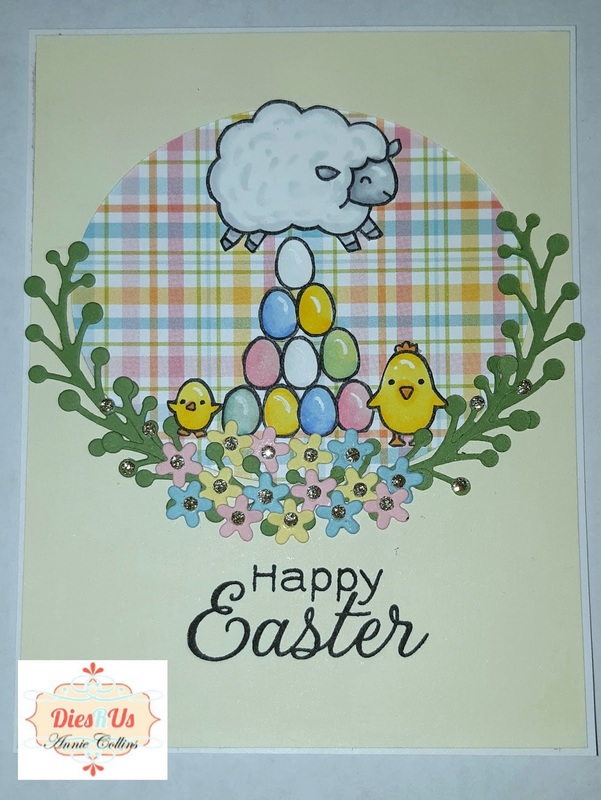 There is a new challenge theme offered on the 1st and 15th of each month and one lucky randomly drawn winner will receive a gift voucher prize to the Dies R Us Store. Just adorable Annie! 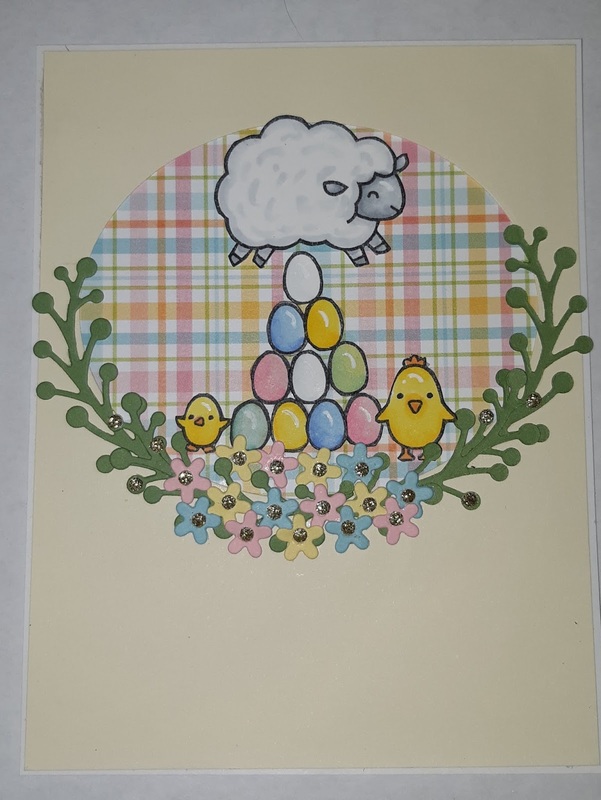 Thanks for fun Easter inspiration! Awww, how cute is this! Love it!